Halloween candy is a nice treat, but hard on teeth. Some treats are harder on teeth than others. Here are some tips to help protect your children's teeth on Halloween. 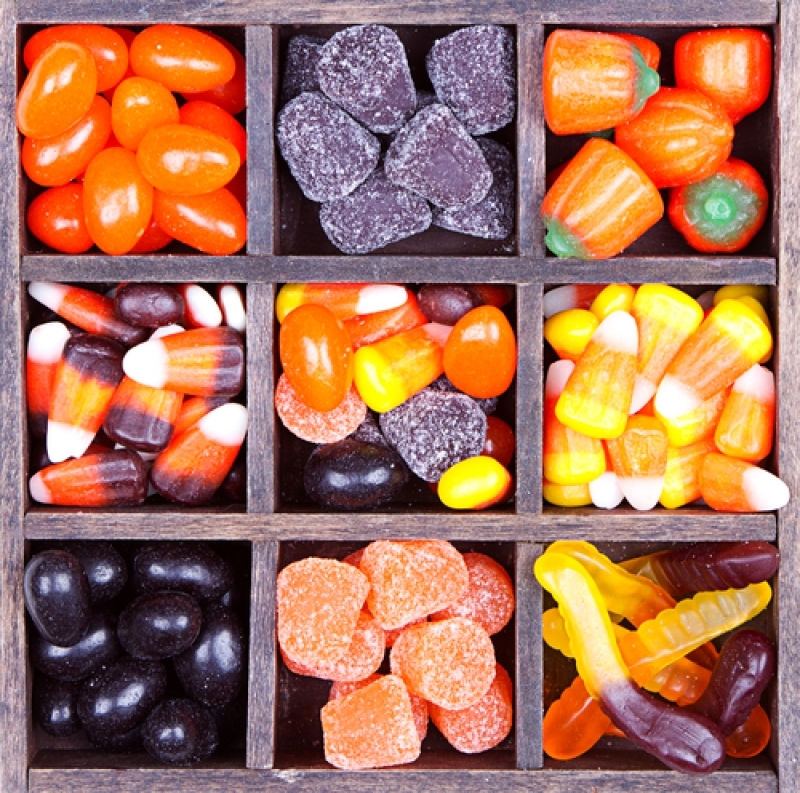 Halloween is just around the corner and that means lots and lots of candy for all those little trick-or-treaters.This is a super fun time for children, but both parents and children need to know there are good and bad candy choices. This is an opportune time to think about their teeth and the possible health impact of too much candy on their teeth and their overall well-being. When sugary foods are eaten, plaque or cavity-causing bacteria, feed off the sugar making an acid that begins the cavity process. When teeth are exposed to these sugars for a longer period of time this increases the likelihood of cavities developing. So choose these snacks wisely and brush, floss and rinse with water as often as possible after eating treats. Try to have them at meal times or at one single time in the day to avoid prolonged exposure to sugar. Sticky, gooey, chewy, sour and hard candies are the worst types. Sticky, gooey and chewy treats stick to teeth for a long time especially in all the little grooves and pits which are difficult to clean out. The bacteria have a long time to feed on the sugar and cause the enamel or outer layer of tooth to soften thereby beginning the cavity process. Sour candies are very acidic to the outer tooth surface and can result in cavities forming at an accelerated rate. Hard candies and bubble gum can tend to be kept in the mouth for long periods of time, thereby exposing teeth to continued acid attack formed by the bacteria. Chocolate tends to dissolve quickly and not remain long in the mouth and sugar-free gums increases salivary flow which helps prevent cavities by neutralizing the acids. So these are better choices. So enjoy this Halloween with your little trick-or-treaters but be mindful. Encourage good oral care habits like brushing and flossing, but when not possible, at least swish vigorously with water. Have a happy, safe and cavity-free Halloween!